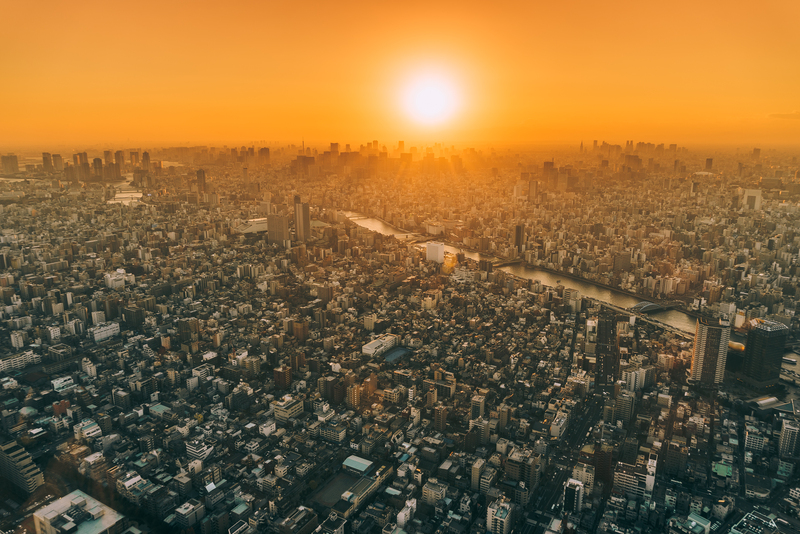 Wide panorama of sunset over Tokyo skyline shot from 350 meters. Tokyo is the biggest metropolitan area in the world and the cityscape is absolutely amazing. This photo was taken from Tokyo Skytree over 350 meters during sunset in early december. Other good sites to take pictures like this are Mori museum in Roppongi and Tokyo Tower in Minato.